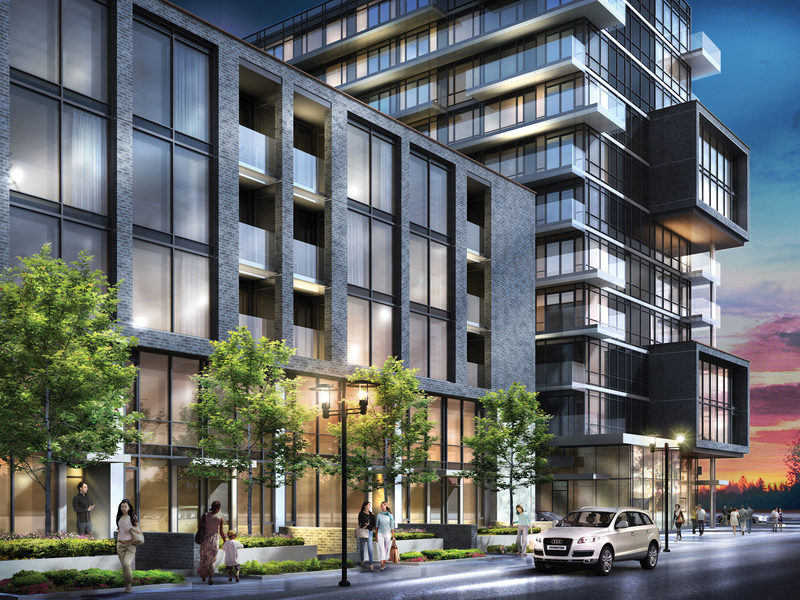 For those who covet the convenience of condominium living, yet still like a low-rise home, Toronto condo developers offer a breadth of townhome choices. Is there anything better than having a ground-related residence where the landscaping is taken care of for you? They offer an attractive and affordable low-rise option in some of the city’s most popular areas. 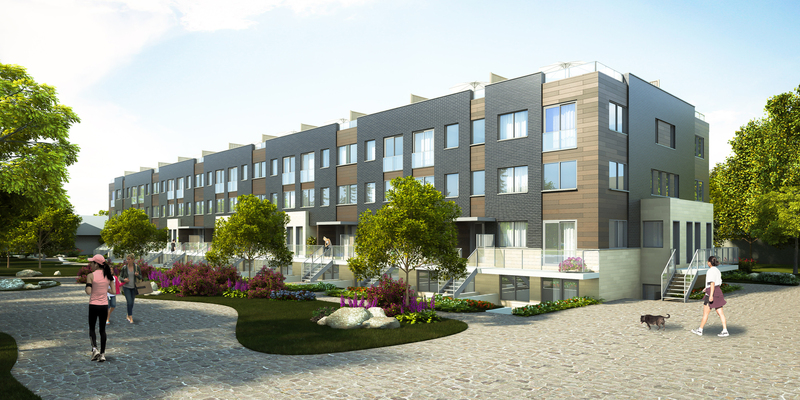 But hurry – as soon as townhomes in Toronto are released, they are snapped up quickly. We literally can’t get enough of them. To give you some idea of the pent-up demand, when Broccolini introduced Park Towns at Bayview and Sheppard in uptown Toronto, the Urban Towns sold out in record time. Purchasers were ecstatic to own these SMV Architects-designed four-storey towns clad in the contemporary brownstone style. Act quickly, and you still have the opportunity to select from a number of other collections. 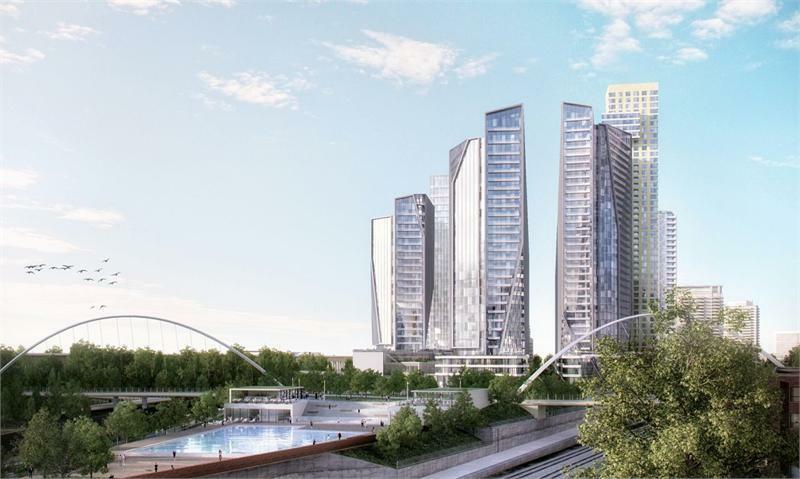 At Canary District (CanaryDistrict.com), for example, the two modern towers will be connected by a podium of unique townhomes around a landscaped central courtyard with lush plantings and heritage lamps. This walkable community is adjacent to Toronto’s new Don River Park, close to green space amid a wealth of amenities in the Front-Cherry Street area. And have you driven along Sheppard Avenue and Don Mills Road lately? 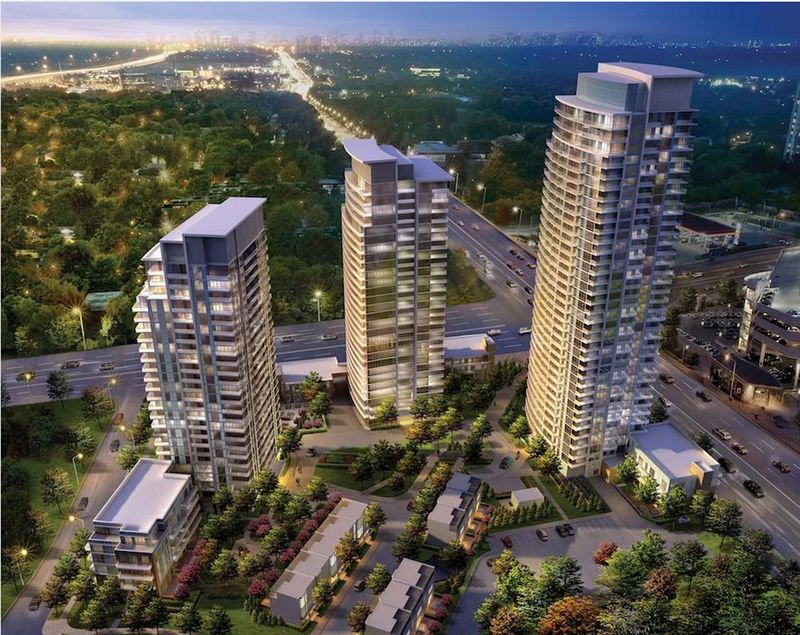 ELAD CANADA’s master-planned Emerald City community (DreamTower.ca) is coming to life beautifully. 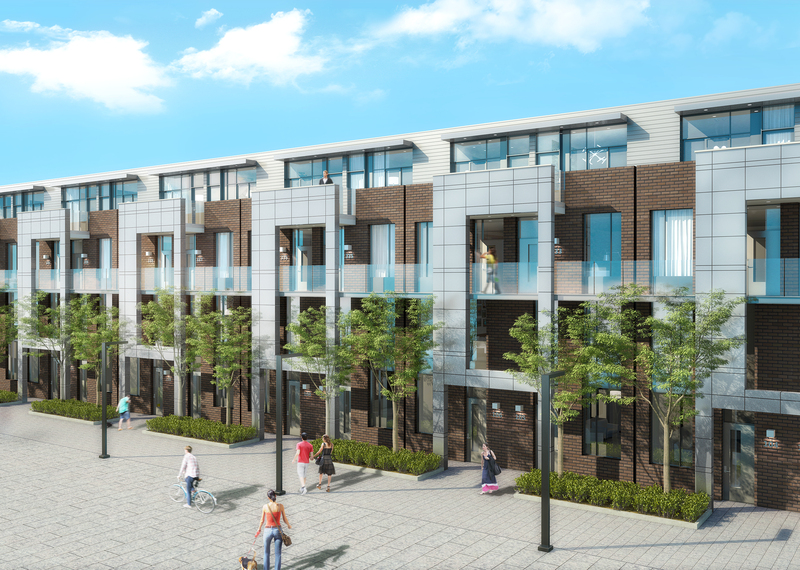 Townhomes will soon be added to the residential mix at this highly successful neighbourhood, where residents have access to tremendous amenities. The Don Mills subway station is steps away, and Fabulous Fairview Mall is just across the street! Plus, Emerald City has a 50,000 square-foot Community Centre being built for the use of all residents. You can also look forward to a collection of townhomes adding to the condo mix at Garrison Point, the incredible master-planned community coming to King West at Strachan, just east of Liberty Village.CITYZEN Development Group, Fernbrook Homes and Diamond Corp. will soon hold the Grand Opening of this ideal neighbourhood in the heart of Toronto. Register now at GarrisonPoint.ca. The Carlaw (TheCarlaw.ca) is Streetcar Developments’ ambitious condominium community at Carlaw and Dundas Streets in Leslieville. In addition to lofts, this collection includes a limited number of Urban Towns. Well-thought-out townhome designs feature 9- and 10-foot ceilings, hardwood stairs, a designer bathroom, gorgeous kitchen and spacious outdoor terrace. This condominium’s innovative indoor-outdoor multi-purpose space will be the site of local events. These are just a few examples of Toronto townhomes that are making their mark on the urban streetscape. Remember, they won’t last long, so start shopping NOW!